It’s time to embrace your beauty. At our family salon, we embrace everyone – ladies, fellas, and kiddos – looking for the latest cuts and styles. Whether you’re a blonde with bobbed crazy curls, a long-haired brunette with balayage tresses, or a spunky silver fox with a pixie cut, no matter what your style, one of our talented stylists has you covered. Our humble approach to outstanding customer service means that, from the moment you walk through our doors to the time you leave, you’ll enjoy our warm, inviting salon as much as we do. 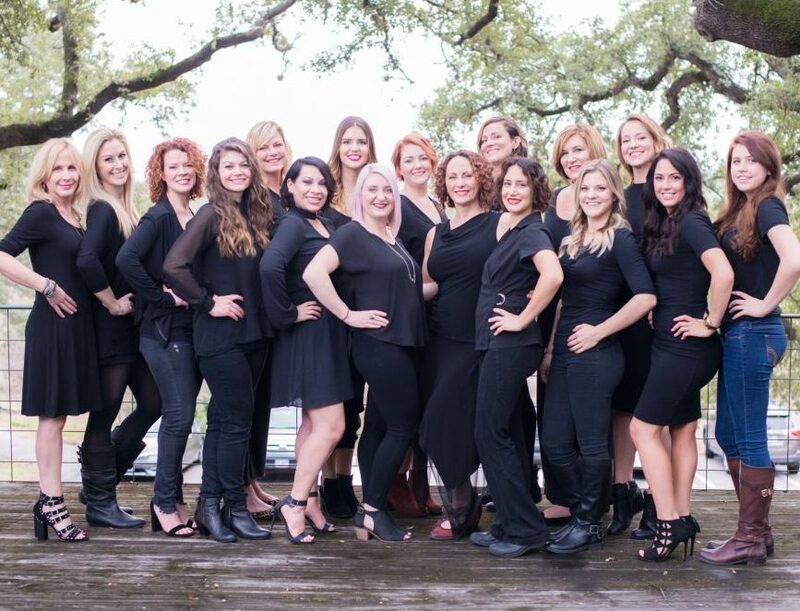 We nurture a family team environment because we’re all working together to make you look and feel beautiful. We are proud to offer high-end hair, nails, makeup and aesthetic services using only the highest quality environmentally conscious products, like Kevin Murphy, Bumble & Bumble, Deva Curl, USmooth and Spa Ritual. Come on in, relax and let us pamper you. Sign up today to become a part of our family. Every day our talented stylists inspire each other to provide you with the best service to help you look and feel your best. We’re constantly keeping up-to-date on the latest trends and techniques to bring each client a personalized approach. View some of our favorite looks, before & afters, and products on the Ringlets and Sass Wall of Beauty.